Let the flames work their sweet magic. A Gwaltney Good Time begins at the grill with these summer recipes and tips. Slice the Gwaltney Hot Dogs lengthwise. Make sure to only slice halfway through. Stuff with thin slices of cheese. 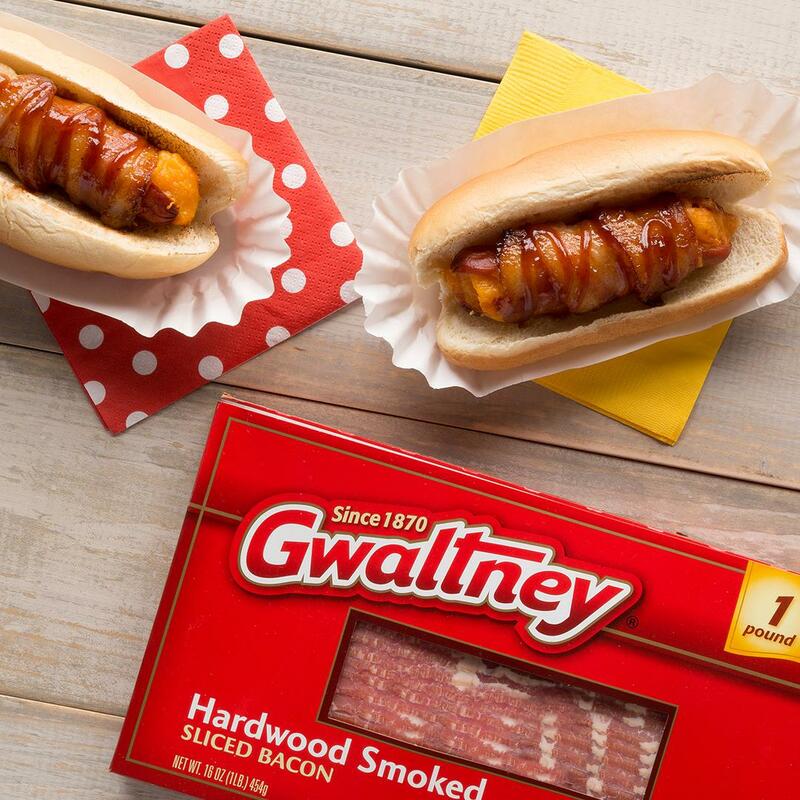 Wrap the hot dog with Gwaltney Bacon and secure with toothpicks. Use a basting brush to coat the hot dog with barbecue sauce. Place on hot grill and cook until bacon is cooked through and cheese is melted (or bake at 400 degrees for 20 minutes). Remove toothpicks, place on bun and enjoy!